Something different for families or friends looking for things to do in Peterborough at the weekend or in the holidays or for a group wanting an easy to organise activity! Great as a team building exercise on a corporate away day or as an icebreaker at your annual conference? Suitable for all ages a hunt is fantastic for school trips, overseas students visiting the UK and as a way of entertaining guests and relatives on a family visit or special occasion such as a birthday….the list goes on! Our Peterborough treasure hunt takes you past many local attractions and places of interest, Peterborough Cathedral, The Guildhall, St, John the Baptist Parish Church, Peterborough Museum and The Town Hal. More importantly they get you looking around opening your eyes to so many other things you would ordinarily walk straight past! Following the directions and solving the clues along the way you will have great fun exploring the streets and learning a bit about the area too! Treasure hunts can purchased on a DIY basis or as a fully managed package. We can also provide bespoke hunt routes in areas we have not yet visited or to suit your needs. 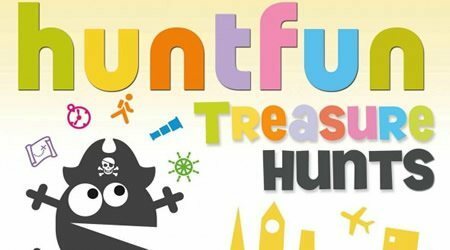 Please go to the Hunt Fun website first to buy or download a treasure hunt before starting at the Cathedral.